On behalf of the entire HEXX Family, we are deeply sadden to learn of the passing of Doug Wood. A good friend to many, Doug was an amazing lover of dogs, children, him family, and a true supported of music, and his friends from HEXX. He will be missed. We send our thought and prayers to his family - rest in peace Doug. Dan Watson, Bill Peterson, John Shafer and the guys! Hexx circa "Quest for Sanity era" hanging out with Forrest Ackerman at his mini Mansion in the Hollywood hills late 1980's or early 1990's. Very cool guy! He even let me rummage through his "Garage ma-hall" for old movie posters. He signed every one and I still have them today! Great times! HEXX OFFICIAL ANNOUNCEMENT!!! DON WOOD is taking over on bass guitar for Hexx!!! Welcome aboard Don!!! 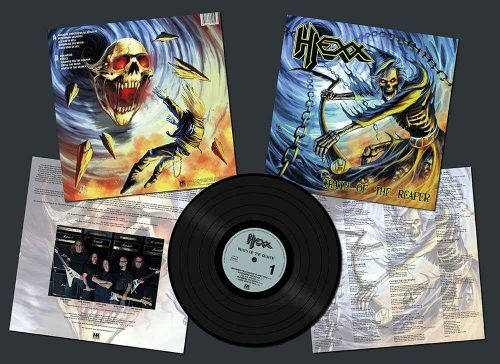 HEXX - Bay Area Metal shared an album. HEXX - Bay Area Metal updated their profile picture. Get Wrath of the Reaper NOW!